I think I might have posted this last year, but it's definitely worth a repost! 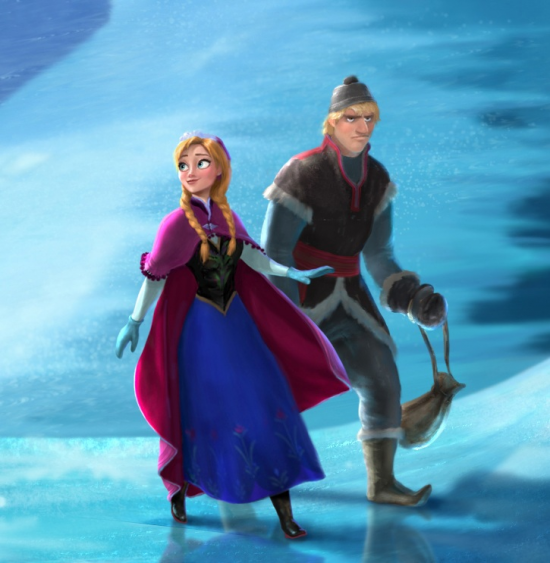 Some Frozen concept art is out! ...uninteresting blonde people. Joel and I have decided to refer to it henceforth as "Rapunzel and Kay's Snow Adventure" (Kay as in the one from Sword in the Stone) Larger shots of the above image here. Dapper Dans sing boy band music! Too good. 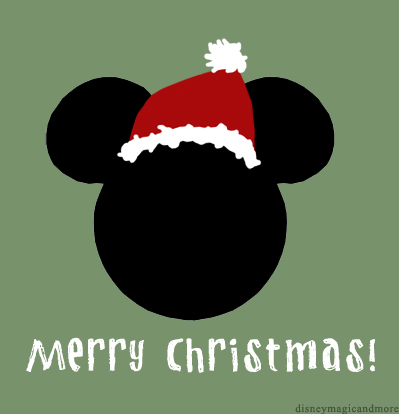 Everything's getting all Christmas-y around the Disney parks these days! My personal favorite is this cone tree made of cones with cones for ornaments, hooked up to a car battery. So awesome. 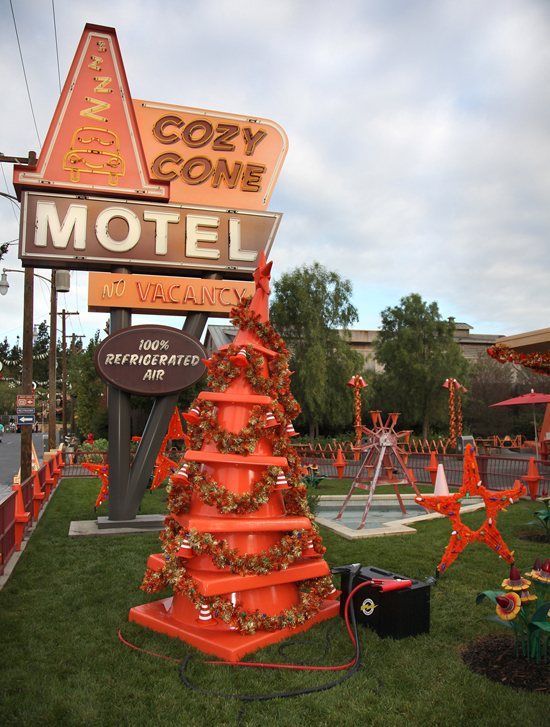 It's from Cars Land at Disneyland! New Fantasyland opened at Disney World this week! 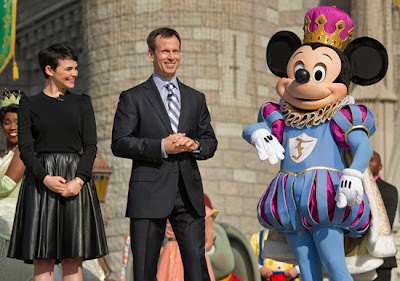 Lookit King Mickey. too cute. Though I am disappointed by lack of Queen Minnie at the ceremony :C More pictures here! Disney signed a deal with Netflix this week! Some movies are already available for streaming and more are yet to come. Check out this post for more details. Did you guys know that Muppet Christmas Carol is the first Muppet movie Disney co-produced and released? It's also pretty much the best Christmas movie ever, so you guys are gonna get a lot of it for the next few weeks. Awww yiss holiday time at Disney! Here's a cool timelapse of the gingerbread tree at the Contemporary Resort at Disney World. Some new Frozen concept art and...concept puppet? 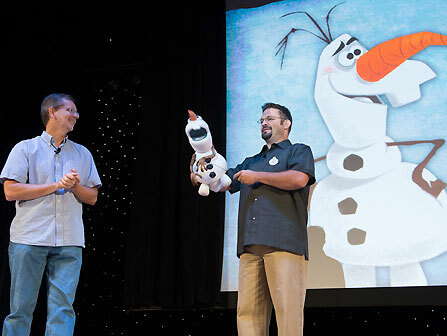 Of the snowman character. He looks uh...a bit dumb. But I also hated Ray's character design before I saw The Princess and the Frog, so that's no good indication of actual dumb-ness. This is pretty much the cutest.